Dangle hearts Rose Gold medical id bracelet is classic yet simple and elegant enough to wear with jeans or to stylish evening wear. This medical id bracelets has hearts that hang from the chain. 18 Characters per line including spaces. 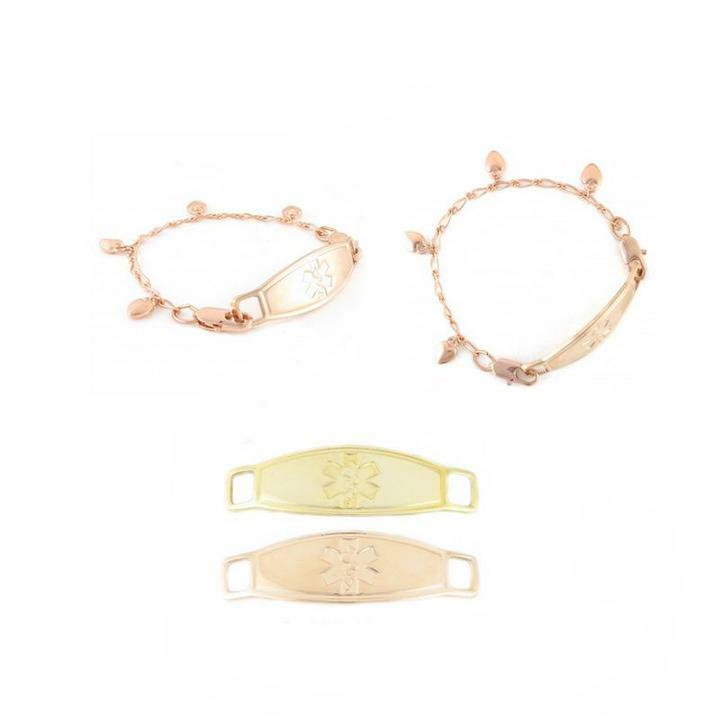 We highly recommend to extend the life of your gold plated medical alert bracelet, we recommend removing before showering or water activities.